There’s something about the sunshine peeking through the clouds, pastel-colored flowers lining the sidewalks and finally cleaning out your closet for the first time in a year – it’s springtime! At Origaudio, we aim to provide products that encourage fun and create memorable experiences for everyone. With no setup fees, one-piece minimums, and a 5-day standard production time, it’s a no-brainer these products will be on the hot-list all spring long. unique 10 Watt wireless speaker. 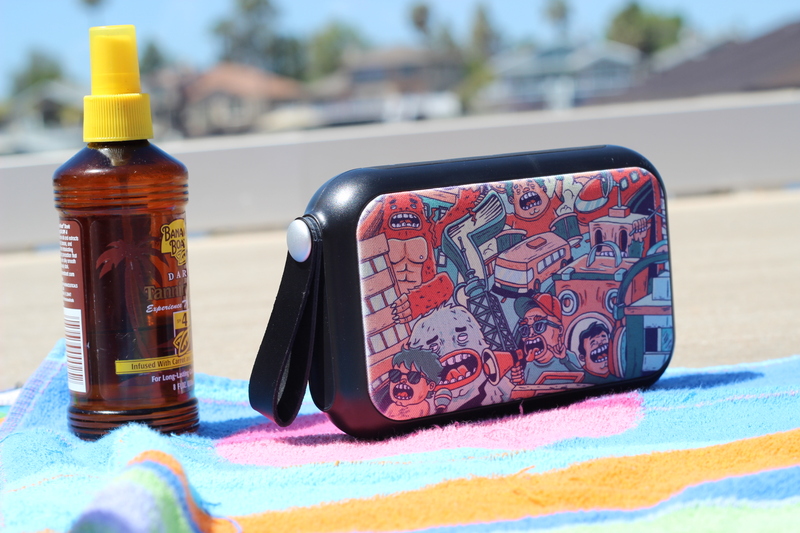 If you’re not one for hitting the beach, you can’t go wrong with the Hive Portable Surround Sound system. Talk about a unique branded gift! 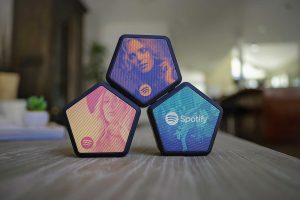 The Hive is a portable 5 Watt Bluetooth speaker that is wall mountable and easily syncs to up to 100 other Hives. Put them all around your house or office for seamless surround sound anywhere, any time. As the spring sunshine rolls in, you’ll want to protect your face from a nasty sunburn. 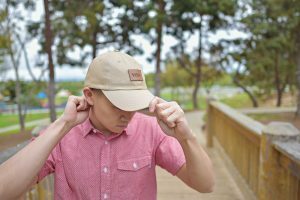 Look no further than Origaudio’s brand new hat collection. We’re offering four hats that each come in two colors, all at a one-piece minimum. Ordering our hats is as easy as 1-2-3! Just pick your hat, pick your patch style, imprint type, and you’re good to go. No matter what you choose, the hats will be the same price. Now that calls for a springtime celebration. Where are you going to put all this awesome custom swag? In your El Dorado Roll Top pack, of course. 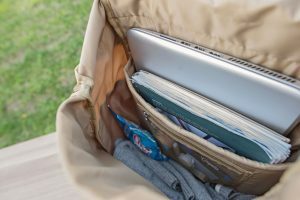 The new El Dorado backpack is already a huge hit as the roll top retail trend grows. 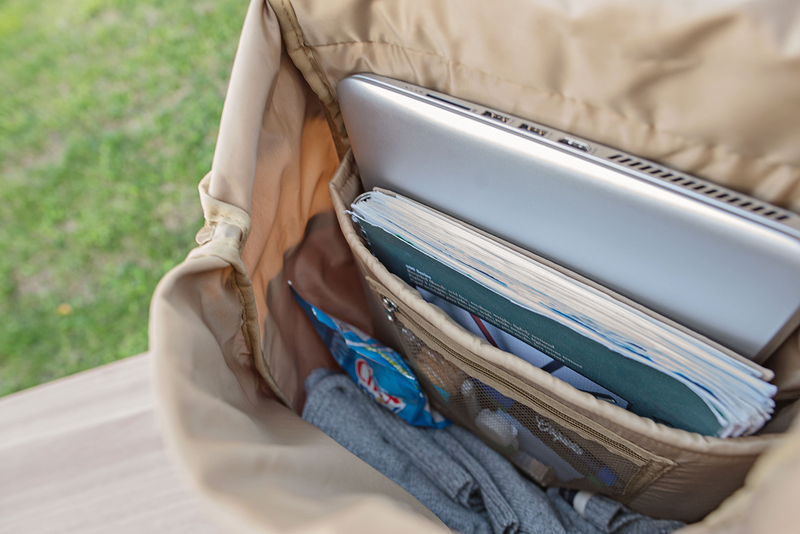 Coming in both tan and olive color schemes, the pack is stocked with useful features and a 35 L capacity. It’s the perfect companion for a sunny hike or sunset picnic. One piece minimum custom packs don’t get much better than this! Brookelynn Graditi2018-06-27T17:01:14+00:00June 4th, 2018|Comments Off on Spring it on!